Primal Goddess is a carefully chosen blend of primal herbs, co-active nutrients and collagen peptides. It has been specially formulated to comprehensively support hair, skin and nail health. Primal Blend: contains pasture-raised beef collagen, antioxidant-rich berries including schisandra, goji and acai, omega 7 fatty acid rich sea buckthorn berries plus the traditional herbal favourites Burdock and Horsetail. Co-active formula: contains the essential mineral zinc which aids the production of the skin proteins collagen and keratin. 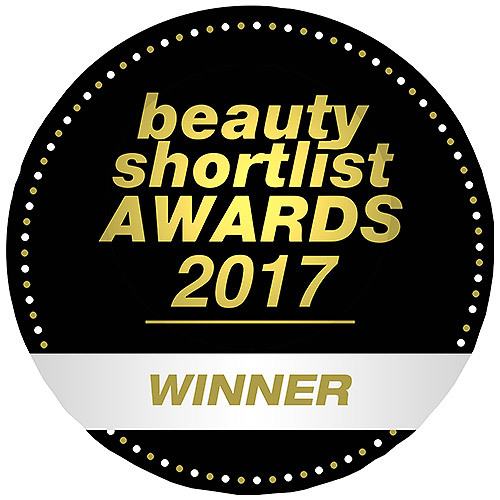 Important antioxidants vitamin C and vitamin E, plus other beauty favourites such as biotin and skin-hydrating hyaluronic acid. Collagen Hydrolysate (Bovine), Acai Berry, Sea Buckthorn Berry, Schisandra Berry, Goji Berry, Vitamin C (Ascorbic Acid), Burdock, Horsetail, Hyaluronic Acid, Vitamin E (D-Alpha), Tocopherol Succinate, Zinc Glycinate, Biotin, Natural Berry Flavouring, Stevia. Take 1/1.5 scoops once or twice a day, with food or as directed by your healthcare professional. Mix with at least 200ml of water or juice. We recommend drinking 2 litres of water a daily when consuming hyaluronic acid. 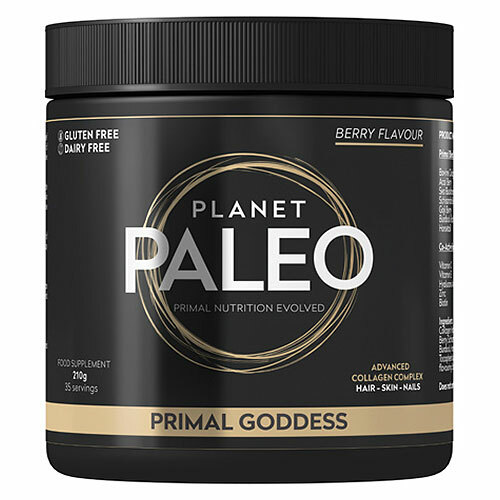 Below are reviews of Planet Paleo Primal Goddess - Berry Flavour - 210g by bodykind customers. If you have tried this product we'd love to hear what you think so please leave a review. Excellent product, i will be buying some more, as I'm sure it is helping with my fine lines and wrinkles. Skin looks more radiant, and glowing. just sad it is so expensive. Primal Goddess is a carefully chosen blend of primal herbs, scientifically researched co-active nutrients and collagen peptides. It has been specially formulated to comprehensively support hair, skin and nail health.